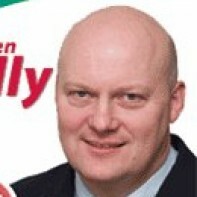 First time candidate Stephen Kelly is running as an Independent in Carlow Kilkenny. The 40 year old is from Aughtanee on the outskirts of Kilkenny City. Throughout his life he has been active in business, farming and journalism. Stephen is married to Mary and the couple have 4 children.